Have you had a business request to “be your friend” on Facebook? 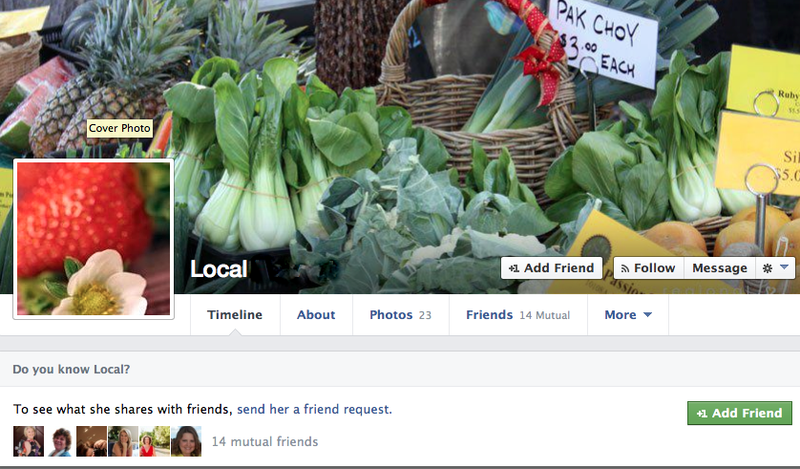 As a follow up to the last post: Did you set up a Facebook profile for your business instead of a page? and the difference between Facebook profiles, pages and groups, here is another post to go into more detail, as this is one of the biggest and most common mistakes I see businesses making on Facebook. Think about it…if you receive a “friend request” from someone that looks like a business, especially if it’s a business you’ve had no connection with in the past, would you accept it? I don’t. Instead, to respond to friend requests from businesses, or people who I don’t know but are obviously trying to make a business connection, usually I simply write a polite message along the lines of “thank you for your friend request however in keeping with the Facebook terms and conditions I only accept friend request from individual people rather than businesses. I’d be happy to look at your business page if you’d like to send me details on that, and if you’re interested in mine they are: www.facebook.com/zesteeconcepts and www.facebook.com/professionalparents” . Back to the friend request – I am not going to give full access to my personal profile (including photos I upload of my children to share with family and friends and my whereabouts via Facebook Places) to a business by becoming their “friend”, especially when I have no idea who is the person behind the business. It seems not everyone feels this way as many businesses set up incorrectly as profiles still often have significant numbers of “friends”. If you do wish to connect to people on Facebook who you don’t know well for various reasons (for example, to begin to build a business relationship), and DO accept the request, there are various ways to allow certain groups of friends you have accepted connections to so that they see only certain information on your personal profile. (for example to mark them as an “acquaintance”.) Then, whenever you post on Facebook, certain groups of your “friends” see different posts, depending on your specific settings. However personally, I find this option too complicated to keep track of and open to error and you have to be absolutely sure all your settings are correct and even then, they can change. It may be a different story if Joe Bloggs had sent me a friend request and said “hi, I run x business and as I saw you run a business in my area, thought you might like to know more. Be good to connect here and get to know each other better and see if we can find ways to work together“. In this case, I would refer them to my profile on LinkedIn and connect there. However, I have lost track of the times I just simply get a “friend request” from what is clearly a business focussed account on Facebook and therefore am writing yet another blog post to try and help newbie businesses making this mistake! Some businesses do this deliberately, as being a “person” with a profile on Facebook gives features which pages don’t allow, such as the ability to message connections directly – however as you’ll read more about below, it’s really a risk that you’re taking as it’s clearly not allowed by Facebook and you can lose your profile. Being aware many people have done just this, a couple of years ago, Facebook introduced their profile to page migration to make it easier for people to correct this error. I feel the next step is that they will crack down on profiles obviously set up for a business, so if you do so, you risk being deleted completely and losing any hard work in building the profile, and have heard of cases of this happening. Though there are way too many profiles for Facebook staff to go through personally, people can complain and bring it to their attention by clicking on the “report/block this person” on the profile. Just a guess here but I imagine there are algorithms that Facebook could write if they wish to identify profiles such as this where they identify that profiles are not an individual/real person. So what are the alternatives? You need to set up a Facebook Page for your business. If you’ve already made the mistake, what are the next steps to take? 1. The most ideal would be to try using the new profile to page migration tool. However if you already have a profile AND a page, both with a substantial number of “followers” then this may get confusing and may not migrate properly (e.g. you may end up creating a second page or not be able to create one at all due to the similar name). All data on the profile would also be lost, as only the friends get transferred across to likers, but photos, discussions, wall posts etc don’t. However it would be the quickest, easiest way to comply with Facebook terms. As a back up, Facebook do offer a way to download your information first and I’ve heard rumours you can convert back if it doesn’t work as you wish but can’t confirm this as I’ve not yet tried it. 2. If not ready to try the migration, they could instead message to all the “friends” and ask them to instead follow the business page. Not everyone may make the move, but successful use of Facebook relies on “active” connections, rather than just numbers, and if people are genuinely interested in you and your business this is a good way to check your followers level of interest in your business. 3. To make sharing your business page easier, you can set up a unique url for their page. 4. Then you would make the “real person” behind the business an admin (assuming they have a proper personal profile, otherwise you need to create one). Hope this helps explain the problems with incorrectly using a Facebook profile instead of a page, and practical ways you can consider changing this. Comments and feedback most welcome. Disclaimer: all posts written by Zestee Concepts are offered as free, general information with a genuine desire to help micro and small business harness the power of social media to grow their business. Facts are checked at time of writing but Social Media is a very fast paced industry and information can quickly be out of date. You need to take all factors into account when considering what is best for your business and Zestee will not be held liable for any decisions you make and the consequences of these based on information provided here. I just shared this on Facebook with a stranger that didn’t understand how or why he should establish a relationship with me on my business page before asking to be my friend in the second sentence of his message; the first sentence was ALL about HIM! Really? My personal Facebook page is my “house” and I just don’t let complete strangers wander around in my home. Thanks for having such a well-outlined article that I could reference! I found it on the first page of my Google search. Do you mind if I reference this on my blog? A lot of business owners could benefit from this – both on the giving and receiving end! this is informative. thank you Renee.